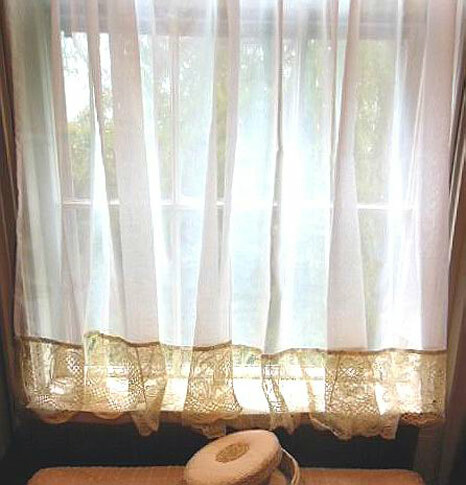 This pair of simple curtains measures 84 inches total width and 45 inches long. 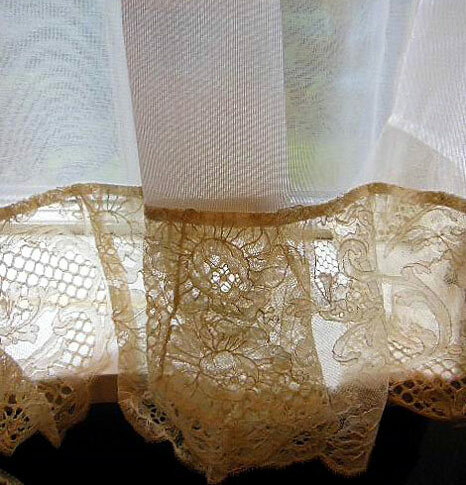 They have a scalloped 7½ inch deep cream lace flounce edging the fine weave antique white muslin. 100% cotton.